After earning a Bachelor’s in Distinction from the University of Minnesota in 1946, Platt moved to San Diego where he worked for one of the area’s prime architects, Frank L. Hope Sr. During this time, Robert designed the “Hotel for Frank Naso”, which would later become The Pearl Hotel. Photography by Sam Wells Handcrafted cocktails are a signature piece of the Pearl Hotel experience. Whether it’s brunch time or dinner time, pick up a “Barrel Ages Good Sir” with apricot brandy and Angostura bitters or a “Pinkies Out” with prosecco, absinthe rinse, and star anise. 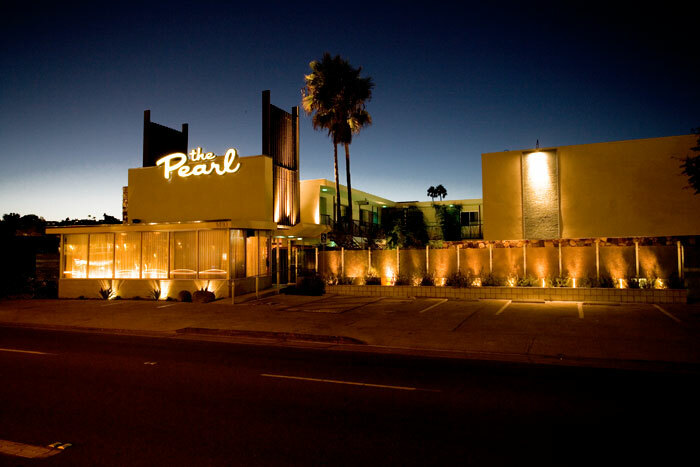 Situated on Rosecrans Street in the Point Loma neighborhood of San Diego, The Pearl Hotel takes visitors back to Platt’s original architectural vision for the property thanks to the vintage-inspired interior decor. Key elements of the original property are still exhibited, such as their continuous and popular weekly Dive-In cinema series. 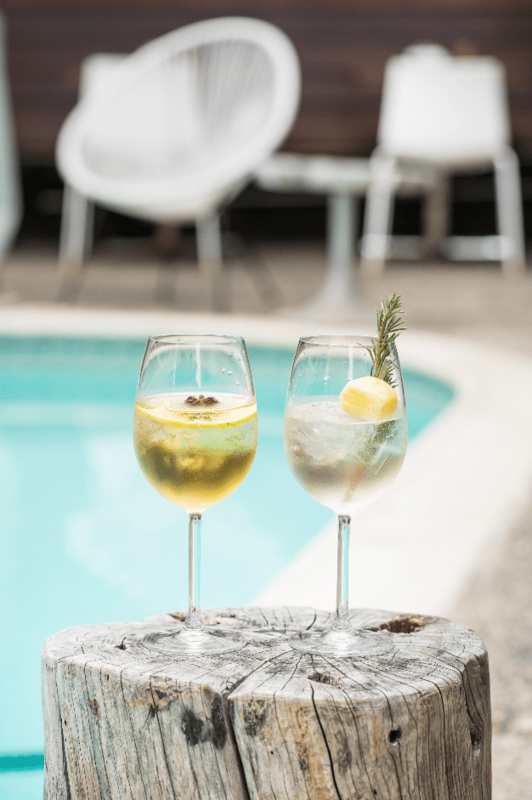 Keeping with the old while bringing in some new, The Pearl Hotel has recently taken on a new venture that pushes gastronomy and libations to a new level. Thanks to its newly instituted an ambitious restaurant, Charles and Dinorah—named after the property’s original owners—guests can experience eclectic and exciting cocktails as well as familiar foods boasting an innovative approach. With an intimate and engaging menu and experience for patrons, Charles and Dinorah add further intrigue to The Pearl Hotel. Now the question is: when can we stay? 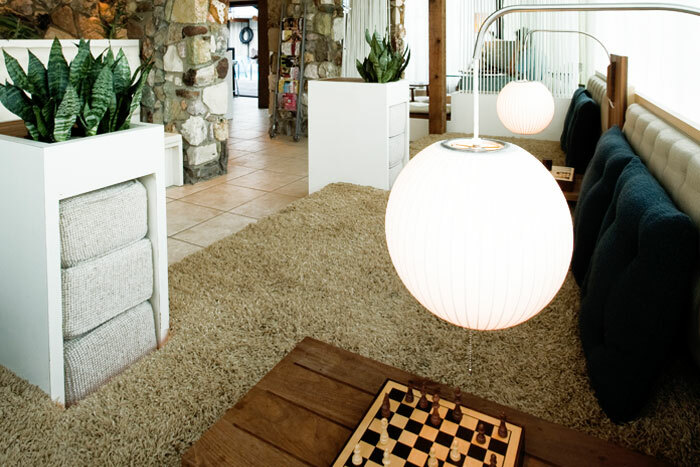 Interested in learning more or want to book a room? Visit The Pearl Hotel’s website for more details. 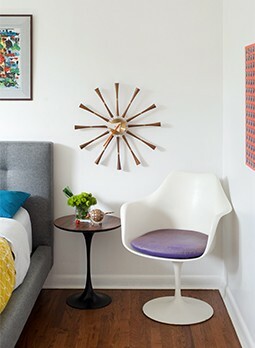 The boutique hotel made various design changes to reflect the property’s original midcentury design. 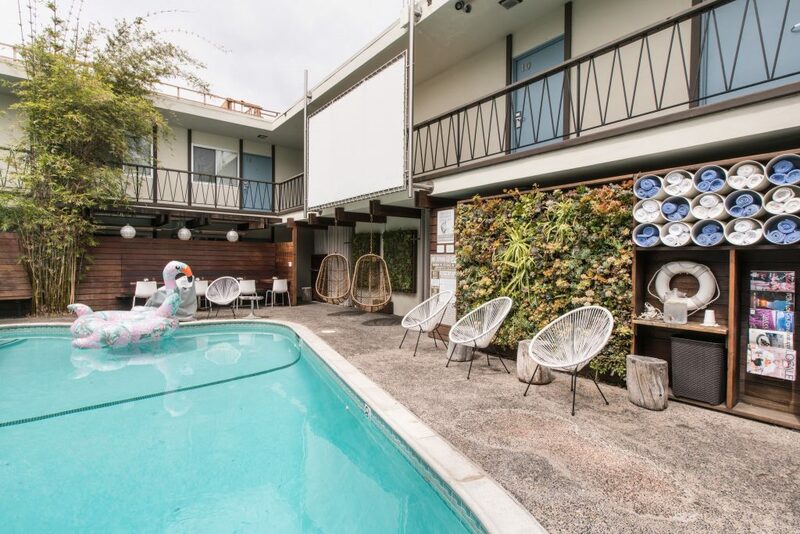 An abundant wall of succulents serves as the backdrop for newly added rattan swinging and white-wired chairs, adding a retro feel to the outdoor pool and lounge space. Gastronomic innovation meets sleek and sophisticated presentation with the Pearl Hotel’s iconic new restaurant, Charles and Dinorah. 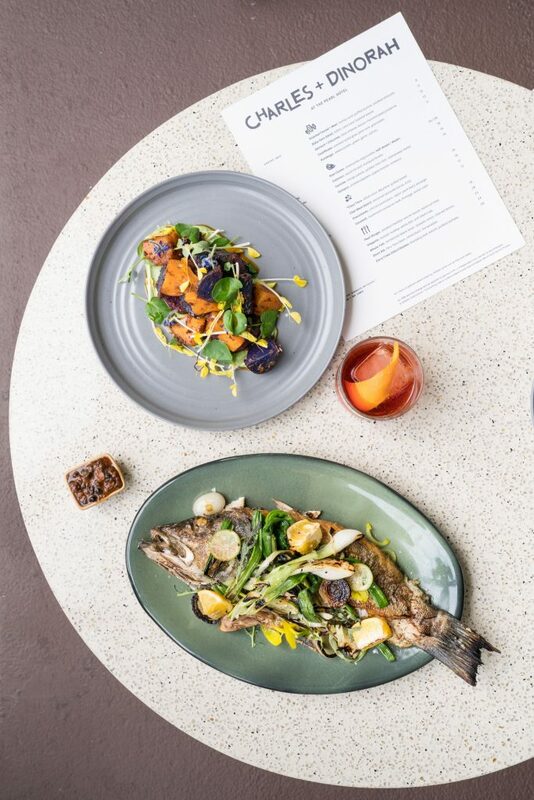 The dinner menu highlights classics with a twist such as a whole fish with torpedo onion, charred lemon, and fermented black bean along with cioppino, orecchiette, and curry fried jidori chicken with kimchi and pickled shiitake.